One of the oldest and most trusted forms of neighborhood security is a neighborhood monitoring program. These programs have prevented thousands of crimes each month across the United States, and more neighborhoods are joining the fight every year. Citizen-based neighborhood watch programs have been around since the colonial days when night watchmen took turns patrolling the village. The modern form of this developed when police chiefs and sheriffs were looking for ways to put citizens in more proactive roles to address a growing burglary problem. Neighborhood Watch was a special program developed and named in 1972. It connected law enforcement with citizens to provide important training. Citizens learned how to watch for suspicious activities and report them. By working together with neighbors to take shifts for watching, neighborhood residents who participated in the original program helped cut crime in their local areas. 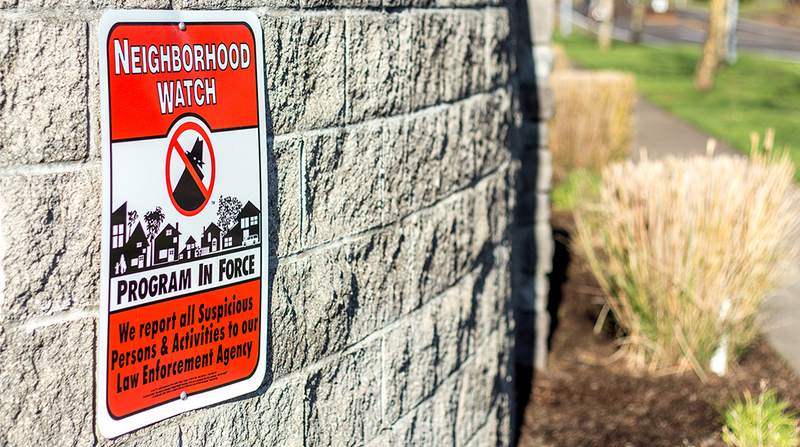 After just 10 years of the program being in existence, the National Security Agency reported that 12 percent of the population participated in Neighborhood Watch. Contact the local police department or sheriff's office for training information. Contact the local victim services bureau to set up victim services training. Look for housing authorities or other associations to link with for the program. Host regular meetings for neighborhood residents to share ideas and become acquainted. Create a private group on social media to keep members updated. To recruit members, distribute information packets to all neighbors. People who are usually home should be designated window watchers. Set up an annual drug and crime prevention fair at a local venue. Sponsor regular neighborhood cleanups since well-kept areas are less attractive to criminals. Pass out pamphlets with neighborhood crime statistics to emphasize an urgency for the program. Ask neighborhood businesses to maintain their storefronts and clean up litter. Start a sub-program with area parents to help children walk home safely from school in adult-supervised groups. Proper training is essential before assuming watch duties. Participants should understand that a watch program does not create vigilante roles. Everyone should know when and how to contact law enforcement for help when needed.